Not many thought Majili would be such a hit at the box office. The film which had a regular husband-wife story has made heads turn at the box office within five days of release and has entered profit zone. This has surprised even the trade who thought that kind of collections would be possible only after two weeks of release. 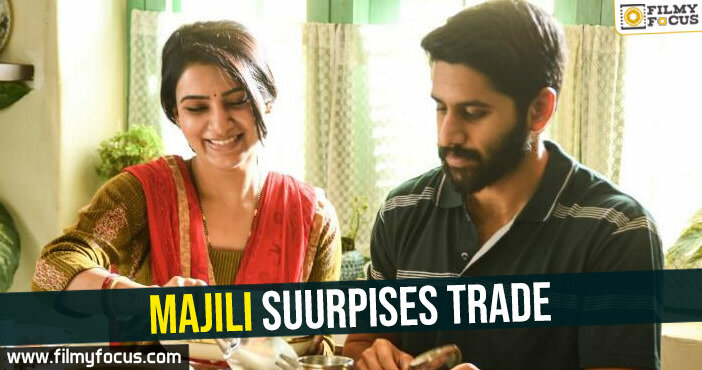 If anything goes wrong with Chitralahari, Majili will have another week at the box office. Samantha is leading the promotions as the film is centered around her and Chay who has got his career’s biggest hit to date.